Millcreek Herbs LLC - Herb Articles - Garden: Acquiring Medicinal and Culinary Herbs - Dedicated to the understanding, wise use and enjoyment of herbs. Merry's articles and herbs research will help you to learn more about medicinal herbs, culinary herbs and the wellness benefits of Complimentary Alternative Medicine (CAM). After taking your herb gardening class at Millcreek Herbs, I feel inspired to try to grow some that I cannot find in the nurseries like goldenseal, sheep sorrel, and senna, but I do not know how to obtain them, how to grow them or whether they will even grow in Utah. Any suggestions? Plant on! Some businesses specialize in offerings of seeds, roots, tubers, bulbs, live plants, shrubs, and trees of medicinal plants. Popular large nurseries like Johnny's, White Flower Farm, Shepherd's Seeds and others have huge mail order businesses. They offer lots of wonderful culinary herbs, too. My favorite resource for organically grown "strictly medicinal?" plants is Horizon Herbs in Williams, Oregon. Horizon Herbs is owned and run by the Cech family. Their slogan is "Sowing seeds worldwide for the benefit of people, plants and the planet." Not only do they offer plants and seeds, they also provide lots of tips and information to help make your growing experience a success. Their catalogue should be kept as good reference material. Besides the alphabetical list of herbs, categories includes Ayurvedic and Chinese seed lists, forest community list and "Kidzerbs." Plant names are paired with a paragraph of description and recommended cultivation technique. There are sections for plants like Datura ("Toxic to the max!") and mint. The mint section lists 10 kinds, from the familiar peppermint and spearmint to the unusual Mayan, Corsican and yellow dotted. Other sections list gentians, ginsengs, echinaceas, mallows, and tobaccos. You can even get the supersweet stevia plant that once tasted causes most people to oooh and ahhh over its incredible taste. They offer lots of culinary herbs which also have medicinal value. The basil section has 12 plants to choose from, including three holy basils: Vana tulsi, Krishna tulsi and Rama tulsi. Used in Ayurvedic medicine, these herbs are valued for their antioxident, anti-inflammatory, and antiviral effects. Greek, African, Thai and Genovese basil varieties are also offered. 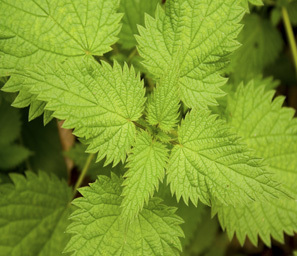 A few years ago, I ordered fresh roots of the very useful and endangered goldenseal. Now Horizon offers the seeds (100 for $10), an economical way to obtain the plant. Horizon Herbs deserve a big thank you and pat on the back for all their labors to make available wonderful, useful, healing herbs for anyone to grow.